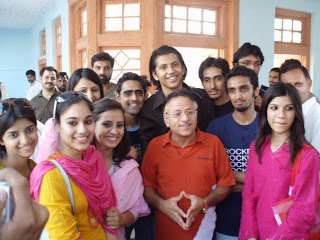 Members of Lahore School of Economics Dramatics Society and Association of Film Makers visited BARI STUDIO Pvt Limited – one of the oldest in the lollywood film industry - on September 27, 2007. Lahore School of Economics students took keen interest in understanding the techniques of direction as well as camera operation. Students enjoyed the shooting of a Punjabi movie and a GEO TV show “hum sab umeed se hain…” Students also met a couple of film and tv actors including Shan, Sana and Haya Ali. 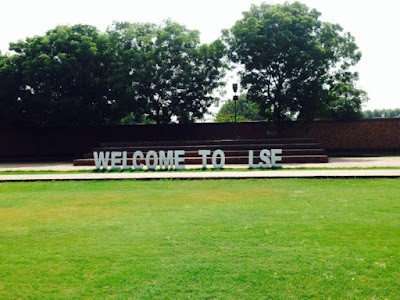 Lahore School of Economics participated in Rhetoric Parliamentary Debating Championship at Sri Venkateswara College of Dehli University , India from Sep 8 to 14, 2007. Rhetoric is known as one of the prestigious debating events in South Asia. Teams from Indian, Pakistan and Bangladesh participated in this event. Ayesha Mirza, Umer Anwer and Shahram Niazi participated as speakers and Omer Imtiaz and M. Ali Murtaza adjudicated the matches. Ali Murtaza was declared as the best adjudicator of the tournament from among top 11 adjudicators from all over from South Asia. Lahore School of Economics Social Welfare Society held a Charity 'Singing' Gala in the Main Cafeteria on September 13, 2007. Students performed on stage and a lot of musical talent was discovered through a variety of songs from soft, hip hop, rock to Pushto by a student. Contributions were collected for charity. 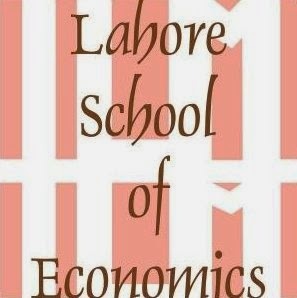 For fresh students, joining the Lahore School of Economics signals the moment of their initiation as students in an awesome environment. Students are here at the Lahore School not only because of their gifts, but rather (and, perhaps, paradoxically), they are gifted because they are here. By being here, in this place, greatness is thrust upon them. Maybe this sounds heretical. Does distinction ultimately reside in places rather than people? The Lahore School is a university that is proud of its students, faculty, green walkways, courtyards, libraries and computer laboratories. You have entered a creative milieu on a grand scale, and your success - though certainly in part attributable to your hard work and intelligence - will also be a consequence of the nature of this place itself, including your classmates and peers. In the time you spend here, perhaps you will discover in bustling computer laboratory, an alcove in the library, a machine in the gym, or some other spot on campus that inspires you to wise thoughts and creative syntheses. Inspiring places bring together inspired people who, together or individually, do remarkable things. I suggest, if I may, that one of your tasks as you set into the amazing setting that this university is to recognize the importance of place in your achievements so far and to expend some effort finding those local environments that will allow you to discover your personal strengths and talents but also stimulate you to explore new ones. Most likely, your creative milieu will include what sociologists usually call a "third place." Neither the room where you live nor the place where you typically do your work, the third place is where you will find that combination of camaraderie and intellectual safety in which you can try out a really big idea. Lahore School knows that you will embrace the good of this place. Starting right now, this place is yours. Welcome!